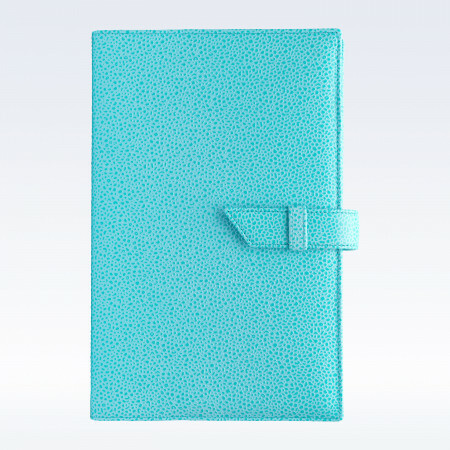 This unique idea from StJ offers a beautiful soft premium leather notebook jacket to enjoy for many years with the flexibility of being able to replace and refill the notebook as it becomes used or filled. Our original desk A5 StJ notebooks are thoughtfully designed with many beneficial features - a contents page at the front and numbered pages so that any important notes or memos can be easily found without the need of searching the whole book. 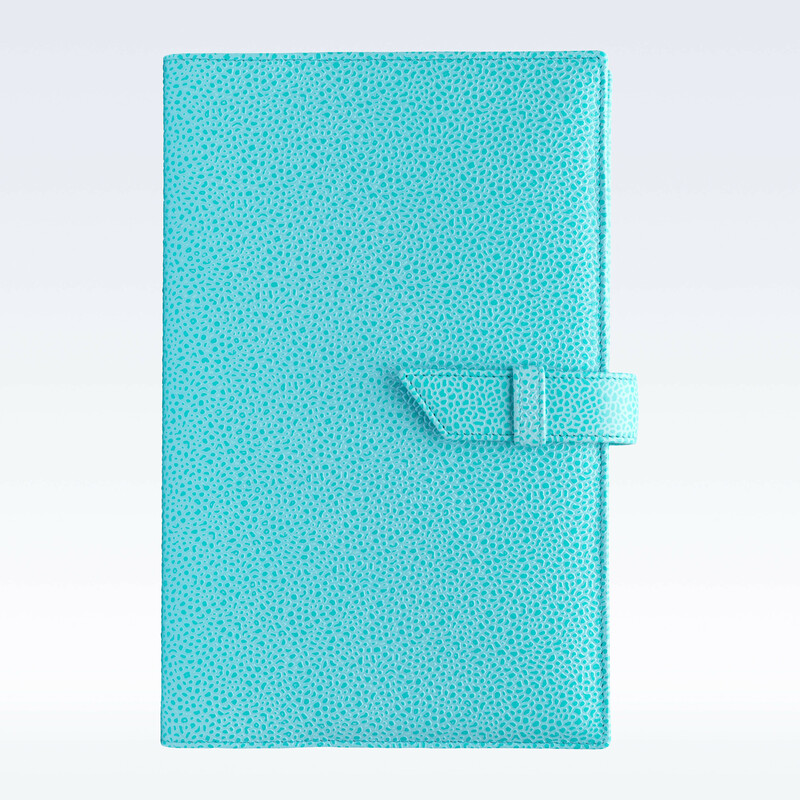 Perforated tear off pages for easily removing a page without ruining the notebook. Each double spread page offers a ruled and plain paper so that all eventualities are covered. This is housed in and simply slips into, our premium leather jacket cover. Offering the best of both worlds with the jacket becoming a well worn, softened much loved accessory and yet the notebook inside can be replaced time and time again. 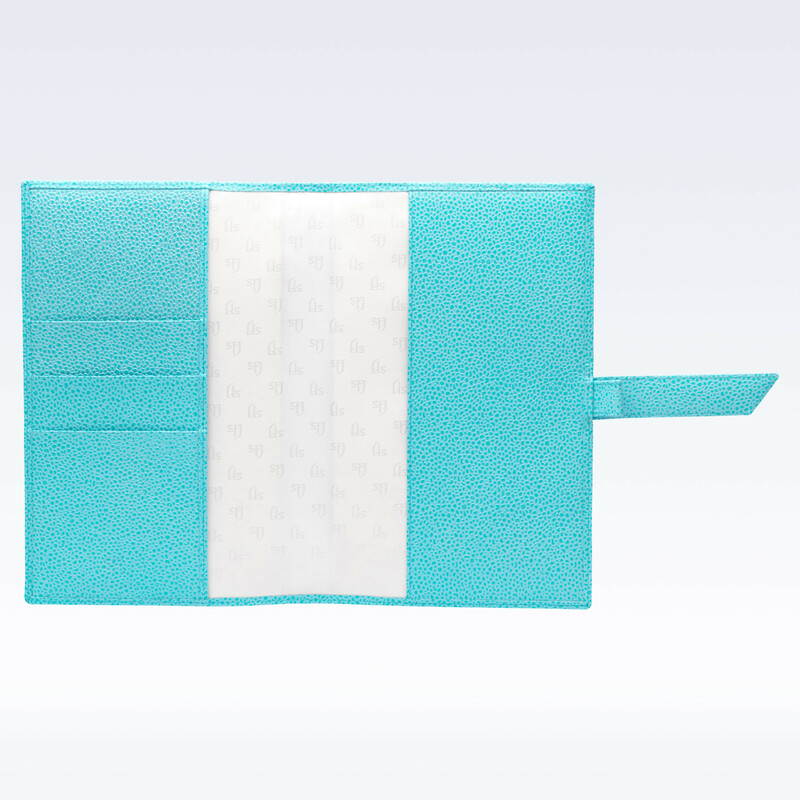 This also offers the features of a pen loop discretely placed in the strap, useful card slots and a receipt / note pocket. 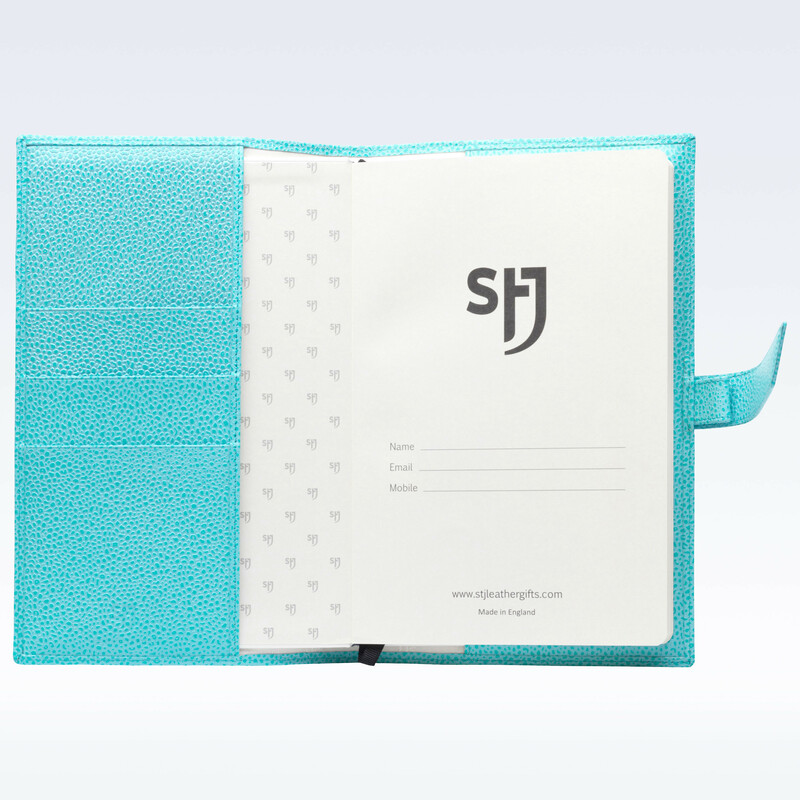 This StJ notebook wallet comes with our unique StJ notebook inside and further refills of the notebook can be purchased separately. Made from luxury soft Italian leather. Premium leather notebook jacket to refill time and time again. A unique StJ A5 notebook offering perforated pages, a contents page and both ruled & plain paper. Convenient pen loop within the closure strap . 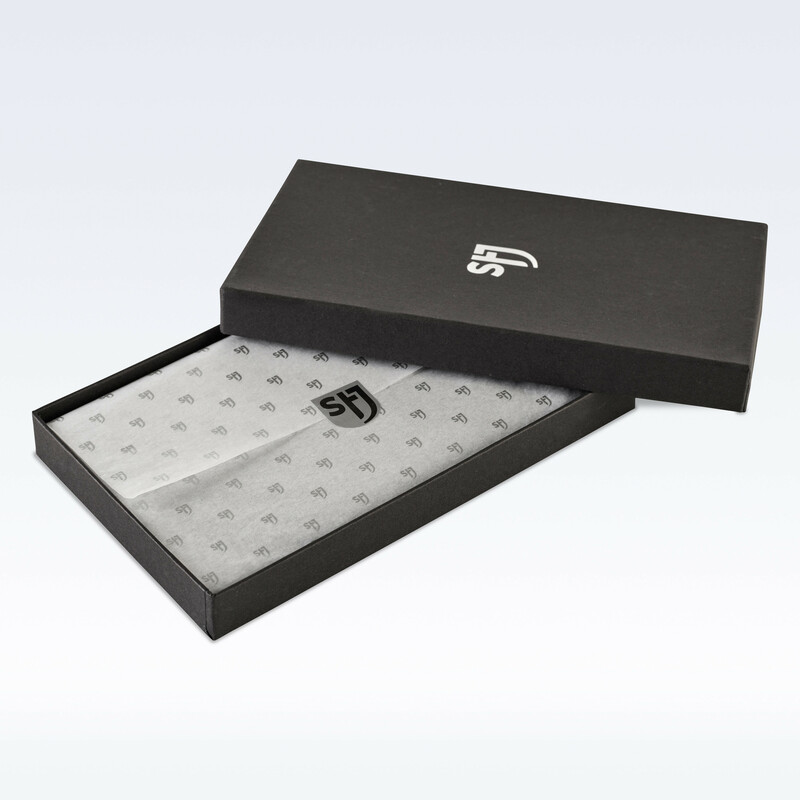 Presented wrapped in printed tissue and beautifully boxed.